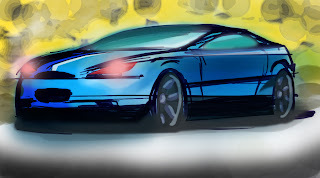 My first hand on rendering.....though i have sourced the sketch (Courtesy: Google). Currently doing my Masters in Transportation & Automobile Design from National Institute of Design, Ahmedabad, India. I have completed my first degree in Mechanical Engineering from K.L.S' Gogte Institute of Technology, Belgaum.